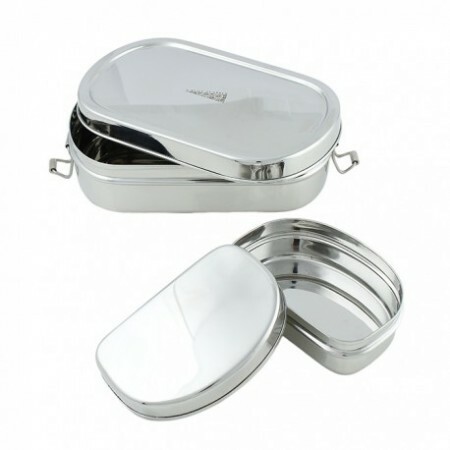 This large oval stainless steel lunch box with a mini container is ideal for lunch and a snack. 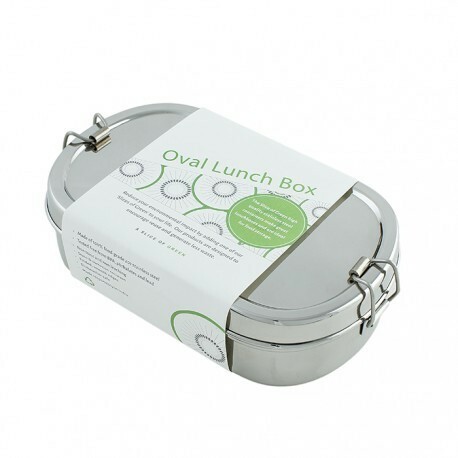 Pop your main meal into the larger of the two containers, leaving space for a tasty morsel in the smaller container. Secure the lid on the large box using the clamps and you're ready to go. 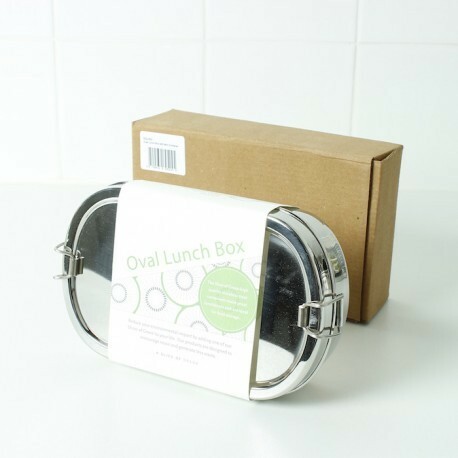 This plastic-free food container is ideal for pretty much any meal, but as there is no plastic seal, very wet foods may leak. Ethically made in India from stainless steel, flavours from previous meals aren't retained and it doesn't impart a taste to your food either. It's dishwasher-safe too. 200ml mini container measures 10cm x 6.5cm x 3.5cm. 650ml large container measures 19cm x 10.5cm x 5cm. 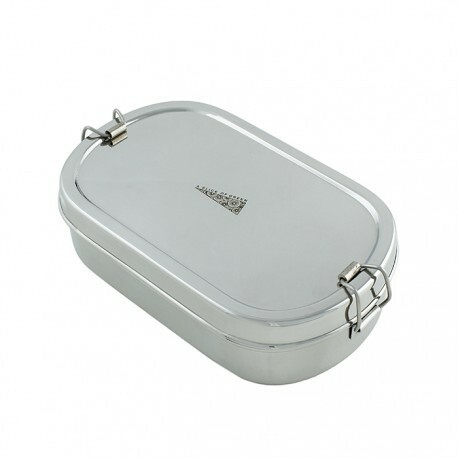 Say no to plastic and have an eco lunch or snacks on the go with super stainless steel food containers from A Slice Of Green - available now at Babipur. Stylish, durable, lightweight, reusable and free from phtalates, BPA and lead, there's a lot to like about this range. Ideal for lunches at work and school, family picnics and adventures off the beaten track, there's something for everyone with A Slice of Green.